Born in France. Had multiple identities while working for the resistance. Arrested in France and deported. Did she ever return to France? 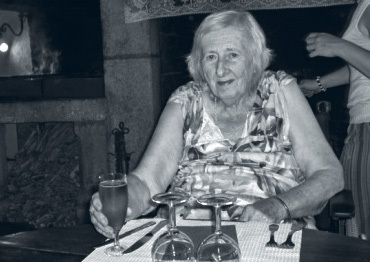 Renée was born in France by Belgian parents and was early on engaged in the French resistance movement due to her excellent language skills. 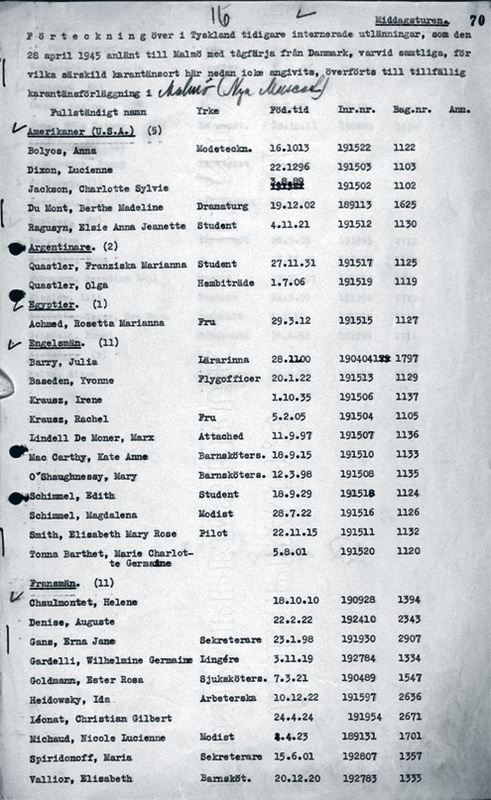 As a spy she took on several identities. One of them was British pilot Mary Elizabeth Smith, the name she also used when she came to Sweden. Renée ended up living with a family in Landskrona. Soon she became the mistress of the man in the family, Frans Ekelund, who was the administrative leader of the city council and a well known architect. 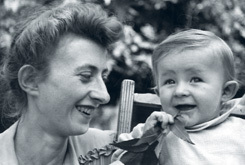 In August 1946 Renée gave birth to her son Hilding. 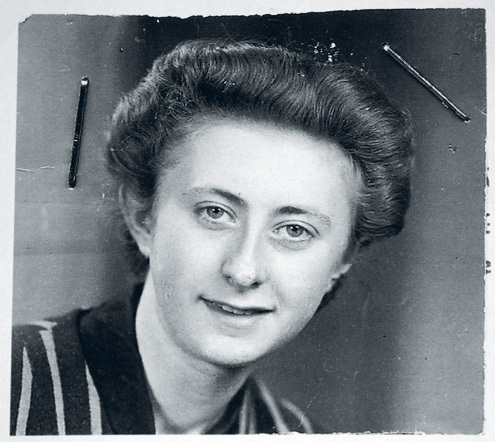 1947 Renée left Sweden with her son and went to Belgium her parents lived. The year after she left Hilding at her parents and went back to France once again. When Hilding was 5 years old his father Frans came to Belgium and brought him back to Sweden. Hilding grew up believing that his actual father was his grandfather. He searched for his mother for many years, and in 2006 the French salvation army helped him locate her in France. Tragically Renée had died six weeks before this. She became 89 years old. If you can help us with further information about Renée Huyskens we will be very happy to hear from you. Please write an email to our researcher Sebastian. 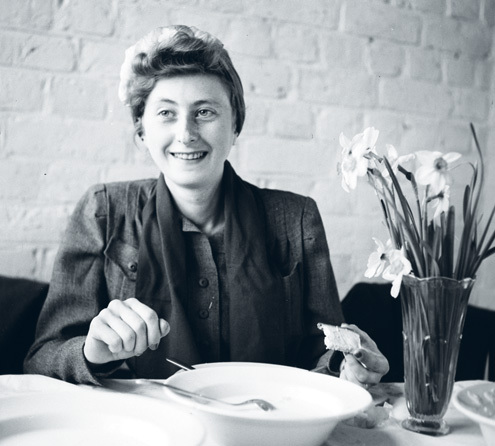 Renée in Malmö on April 28, 1945. 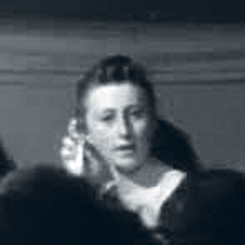 Renée at Malmö museum in May 1945. 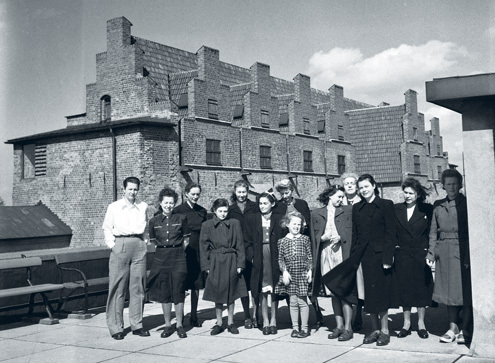 On the rooftop of Malmö museum with other survivors, May 1945. 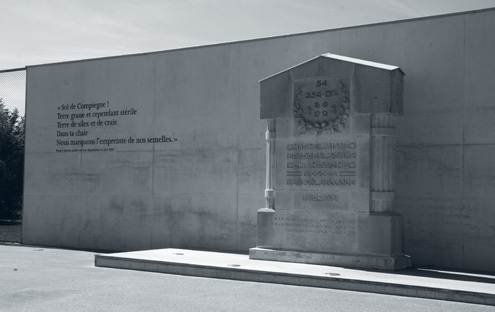 Memorial monument in Compiègne where Renée was incarcerated. 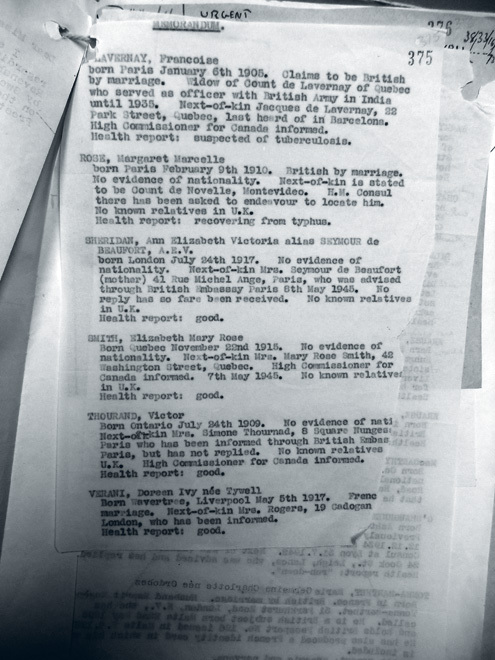 British repatriation document from 1945. Renée still using her alias Mary Smith. Renée used her British alias Mary Smith when coming to Malmö.